Cardocrinum giganteum, giant totems in the Woodland Garden at Kew, today. Quite amazing these, even the seedheads atop giant vaulting poles, are dramatic. I missed their flowering earlier in the year but these will decorate the Woodland Garden for weeks to come. I bought a single bulb from the RHS Spring Fair at Wisley and while it did flower, managed only about 30cm of height. These impressive totems are the result of much care and impressive cultivation, for they are demanding plants. The giant Himalayan lily looks good even in winter. Find out how we grow this magnificent plant in Kew’s Woodland Garden. In the Woodland Garden at Kew, the colourful carpet of fallen leaves is punctuated by tall burnished stems topped with golden seedheads. These are a reminder of the glorious June display of the giant Himayalan lily (Cardiocrinum giganteum). This mighty plant comes from the Himalaya, growing in woodland clearings at altitudes of between 1,500 and 3,600 metres. The plants grow up to four metres tall and carry as many as 20 large, white, sweetly fragrant flowers on the single stem that emerges from each bulb. 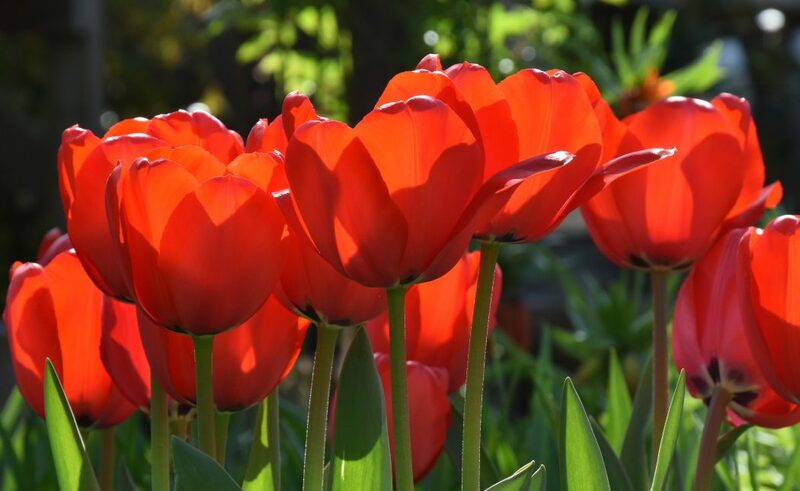 The bulb takes about seven years to reach flowering size from seed, by which time it has a diameter of at least 20 centimetres and has pushed itself half way out of the soil. This levitation means that it is quite shallowly rooted, and it is not uncommon to find a flowering stem that has keeled over due to the weight of its waxy flowers. Cardiocrinum giganteum is monocarpic, dying after flowering. However, it produces a number of new offsets which can be separated and replanted just below the soil surface. These take three to five years to flower, but never reach the stature of plants grown from seed. The seedheads have three chambers, tightly stacked with flat triangular seeds each surrounded by a papery wing. We sow seed every year, to try to ensure a steady succession of flowering-size bulbs – the seed requires double stratification, which means it germinates after two winters in our outdoor seedframe. Seedlings are pricked out, four to a 5 cm pot and left to bulk up before being potted on as small bulbs and planted out when their bulbs reach around 2.5 cm in diameter. The plant prefers a rich, moist, well-drained soil and is adapted to cool, damp Himalayan summers, so in the UK it is best grown in the dappled shade of a woodland garden. We also grow a variety from Yunnan, Cardiocrinum giganteum var yunnanse, which tends to have redder and shorter stems, and a brighter red in its blooms. These dramatic structures are robust and longlasting: one of Kew’s diploma students used the previous year’s seed heads as decorative stakes on his vegetable plot – and an enterprising spider was quick to spot a hunting opportunity too!